Last week we covered Ireland’s interesting Christmas traditions, but what about Italy? With Rome being the Catholic capitol of the world, Italy has a rich three weeks of Christmas celebration. Some of their traditions are similar to those seen other places, and others are unique to Italy. Regardless, it’s interesting to see how this beautiful country. known for its food, wine, and ancient buildings, celebrates the season! 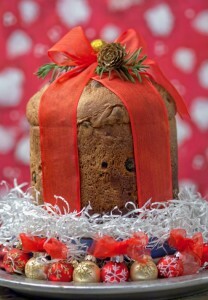 Panettone, a sweet bread, is another popular Christmas food in Italy. Novena, or the eight days before Christmas eve, are spent caroling in Italy. As far as Christmas traditions go, this is pretty standard—but only in Italy will you see bagpipe players (the zampognari) descend from the mountains to join in the celebrations, common in southern cities such as Rome! In addition to caroling, this is the time many families craft their nativity scenes, or presepi. Many know Naples as being famous for its opera houses, but did you know they are also the home of the hand-crafted nativity scene? You can find multiple workshops on the streets specifically for crafting nativity scenes. The first rule of meals during the holiday season in Italy is meat should not be eaten on Christmas eve. The reasoning is to purify the body in preparation of Christmas day. However, fish and seafood is allowed, and a traditional Christmas eve feast is the Festa dei sette pesci (Feast of the Seven Fishes). Seven dishes of seafood are typically served in celebration. Italians follow the global Christmas tradition of sharing a full, bountiful meal on Christmas day with family. An Italian Christmas meal is awe-worthy—these families know how to cook! Meals and celebrations usually continue the day after, and another large family dinner is prepared on January 6th: the official end of the Italian Christmas season, and the Day of the Epiphany. In northern Italy, Christmas traditions include skiing at midnight to welcome Christmas day. Skiers usually take torches down the slopes in celebration. Another midnight-into-Christmas tradition includes midnight mass for church-goers. So when do Italians exchange Christmas gifts? It varies. 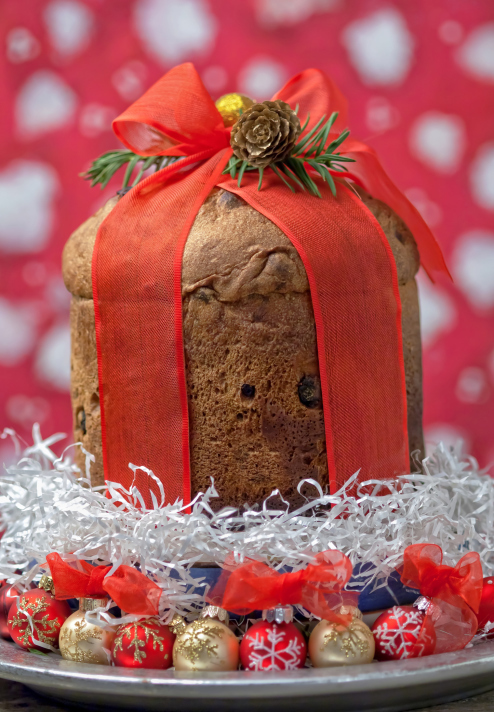 Some choose to exchange gifts on December 13th, when it’s said St Lucia brings children their gifts. Some wait until January 6th, when la befana is rumored to drop off gifts. La befana is said to be a witch (a good one, though!) who followed the three wise men. And some families follow general Christmas traditions by exchanging gifts on Christmas day. However, while gifts are opened in the morning in countries like the US, gifts are normally exchanged after lunch for Italians. This entry was posted on Thursday, December 10th, 2015	at 4:00 pm	. You can follow any responses to this entry through the RSS 2.0	feed. Both comments and pings are currently closed.